Safely power your sensitive electronics. Quieter than the average conversation. Maximize fuel economy by engaging the Eco-Mode, allowing the generator's motor to automatically adjust its fuel consumption. I currently have a Yamaha EF2000is. I saw the WEN on hot deals recently and couldn't pass it up for the price. I could have bought two of these and had change for what I paid for the Yamaha. 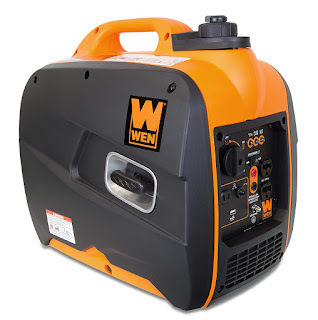 The reason that I purchased the WEN is that the engine is a Yamaha clone, it's very similar inside, and the wiring diagrams are virtually the same so that I believe I can parallel the two generators. It's made in China, but the Yamaha has a label inside that it's made in China also. Smarter tools also has the Yamaha engine but they lablel theirs "Powered By Yamaha". I don't know if WEN licenses this engine or if it's a knockoff. I'm betting that both units might be made side by side in the same Chinese factory. I've received it and have run it a couple of days and really like it. First of all it's very attractive. Inside it seems to have nearly the quality level of the Yamaha although there are differences. The engine is the same design but it has a dipstick whereas the Yamaha only has a plug. The spark plugs use different size wrenches. 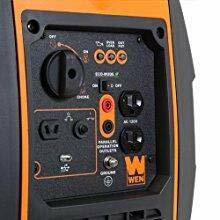 The inverter on the Yamaha is cased but the circuit board components are open on the WEN. One thing I like about the Yamaha that's missing on the WEN is the little door that allows you to access the oil fill hole without removing the entire side cover. I oiled it and gassed it and then pulled the starter rope a couple of times slowly. Then I pulled twice and it started. I ran it through several short cycles with varying load and then cooldown to break it in. Then I ran it side by side with the Yamaha testing it with the same loads. I believe the Yamaha is marginally quieter but not by much. When on autothrotte the Yamaha responds to load faster whereas the WEN would blink it's overload lamp for a few seconds while catching up to a 1,500 watt load from idle. But really there seems to be very little difference in the performance or noise levels of the two units. Also the WEN is a couple of pounds heavier. 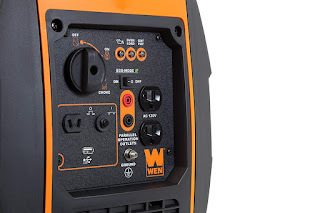 Update 04/01/2017 - A couple of years ago I gave away my Onan generator in my class C motorhome and replaced it with more batteries, a charger/inverter, and solar panels. I boondock always and never hook up. 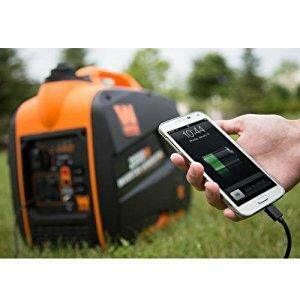 I don't want to start a generator every time I want to use the microwave or make a pot of coffee. I carry the WEN56200 in the coach for when solar isn't enough and I'm not driving enough to charge the battery bank from the vehicle generator. I fire up the WEN and run it at 90% load (I've added a tachometer) for a couple of hours. I never carry extra gas for it as I've never come back from a camping trip where I had used half of it's tank. After a year, the WEN still works great and starts right up every time. My Yamaha EF2000is has been gathering dust in my shop. I ran it several hours yesterday powering a 40 amp battery charger charging the two 12 volt batteries on my big truck. It purred away on 1/4 throttle and you could hardly hear it from 50 feet away. 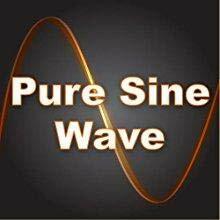 I just received the WEN parallel kit and spent yesterday parallel testing the WEN56200i with my Yamaha EF2000is. Both gensets paralleled with no problems. They shared the load well with almost identical RPMS. Both gensets held a nice steady 60cps standalone or paired. The max that I could load the paralleled gensets was 3,000 watts before the overload light came on the WEN. The Yamaha is just a bit stronger. See the attached picture. 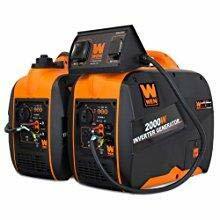 Ran them with two 1,500 watt heater at various settings as well as my air compressor. 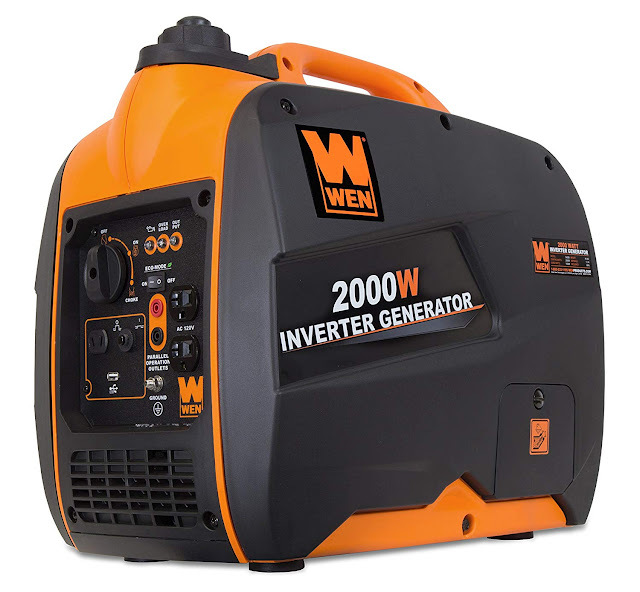 The little known secret is that any brand inverter generator that is parallel capable can be paralleled with any other brand. Honda, Yamaha, WEN, Smarter Tools, Etc. Waited a year to review (about 100 hrs on the machine)..
Ok, here's the deal. 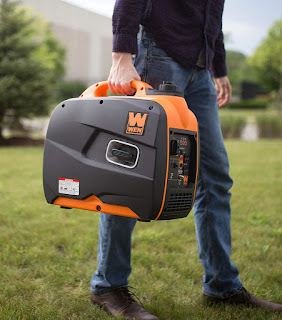 Take it from a retired home builder with lots of generator experience, if you plan to rely on this unit to make a daily living, (think food truck) I would save my pennies and go for the twice as expensive Honda only because they are proven to last forever. 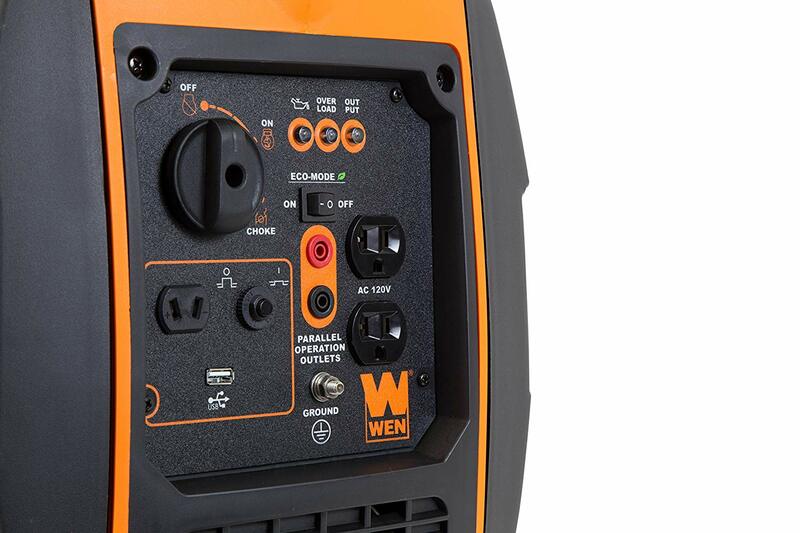 But, for any other application, especially camping, look no further than the WEN 56200i. Mine does everything it's advertised to do but no more. By that I mean, you cannot exceed the 1600 watt continuous or 2000 motor start surge max. So before you click "buy", know your wattage, especially the start up power of motors involved. Read the directions! 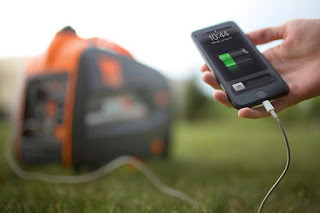 I can keep mine in econo mode in my camper van and watch TV, run my small refer and a small fan if need be, all at one time. In this application, it only revs up for a second or two when the refer compressor kicks in and then right back down to a purr, Really quite. If I want to use my Keurig clone or the microwave, yes, I actually have to get out of my recliner and hit the switch to get out of econo for a few minutes. It can then easily handle these appliances one at a time. It's quite, sips fuel, fairly light and the motor never misses.Starts on first or second pull every time. The only drawback is changing the oil every 25 hrs, but it's easy to do. Just watch the price, Last year it went back and forth from around $485 to a low of $410. And oh yeah, never, never ever leave fuel in it unused for more than a month, or you will be looking for a new carb.